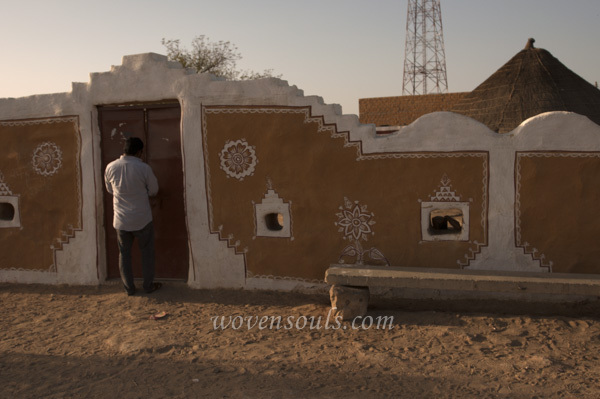 On a highway outside Jaisalmer, driving at 80kmph, I spot an artistically decorated walled enclave. 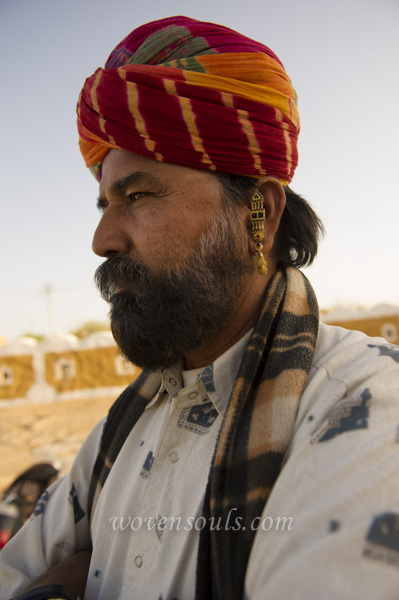 The driver is instructed to stop. 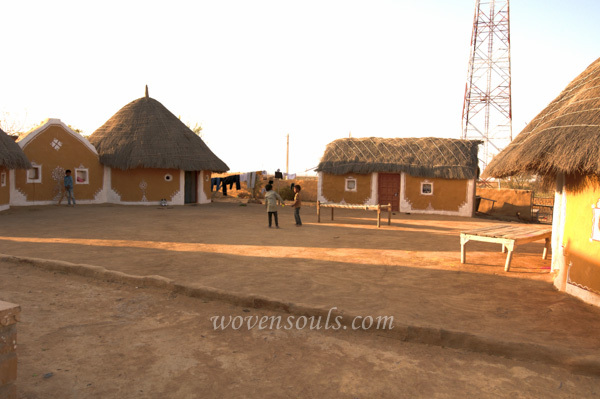 He is first confused about my request to visit the enclave that looks like a home. 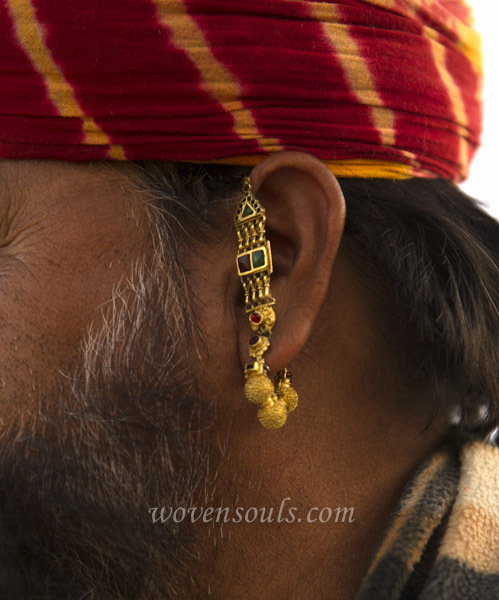 But after a few hurried explanations – he understands. 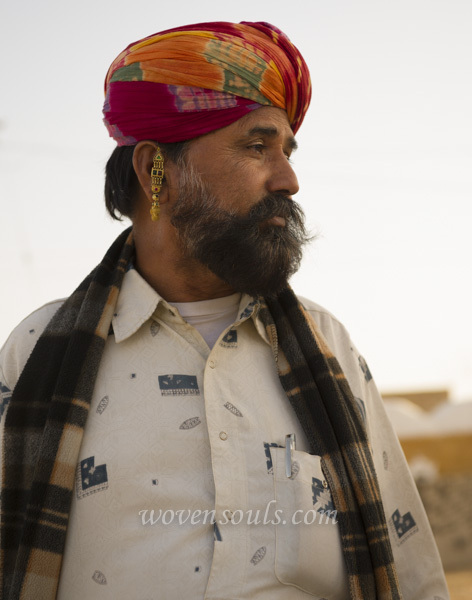 He alights from the car and walks to the gate. 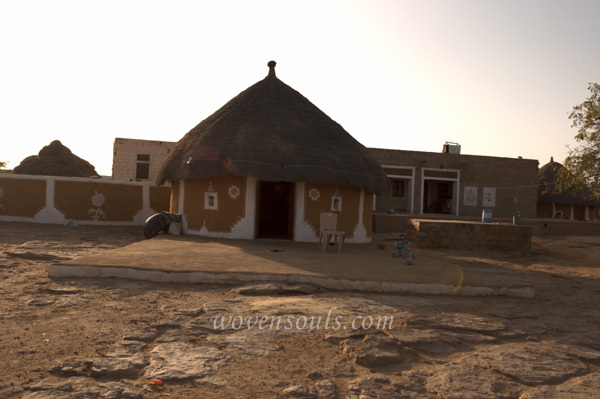 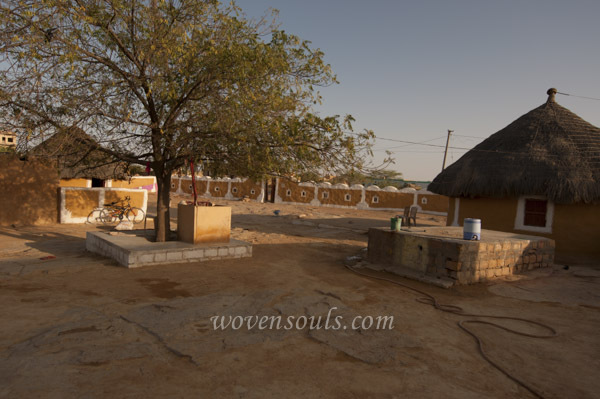 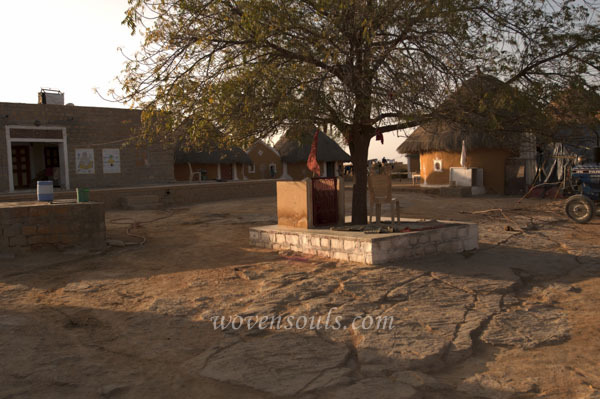 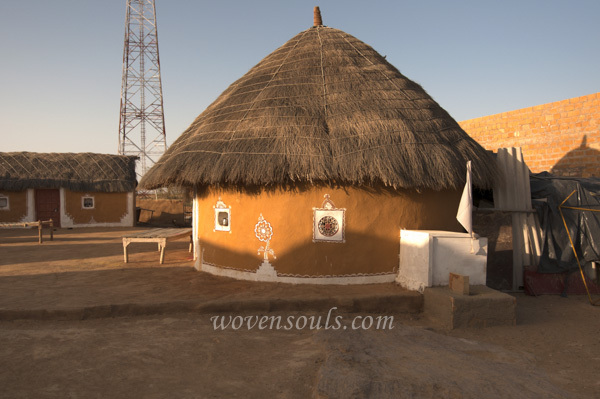 It turns out to be the home of an extended family belonging to a particular Bhil tribe. 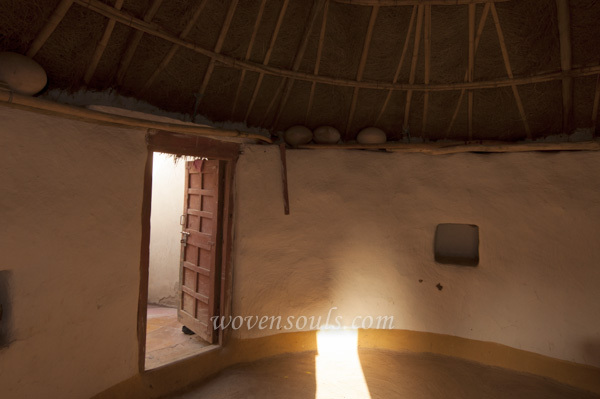 A life that is bare & free from material entrapments. 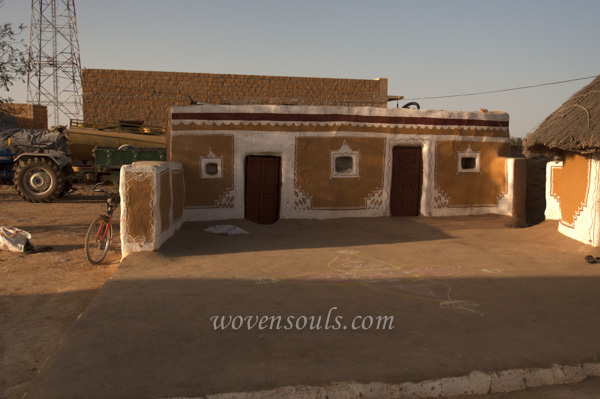 Yet overflowing with art! 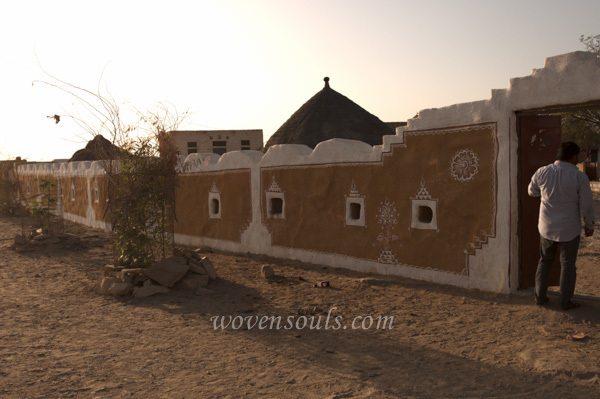 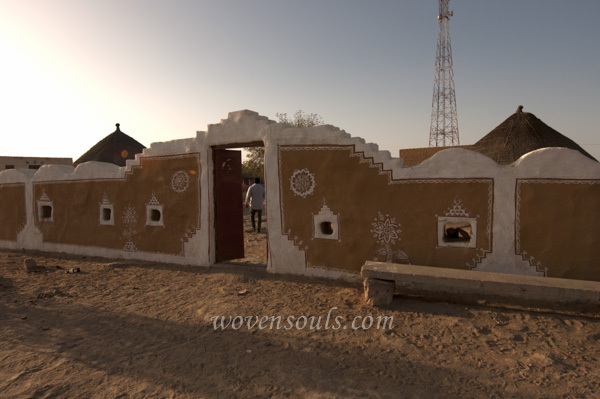 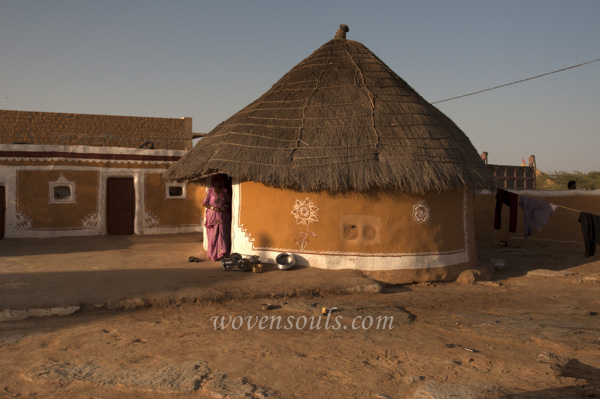 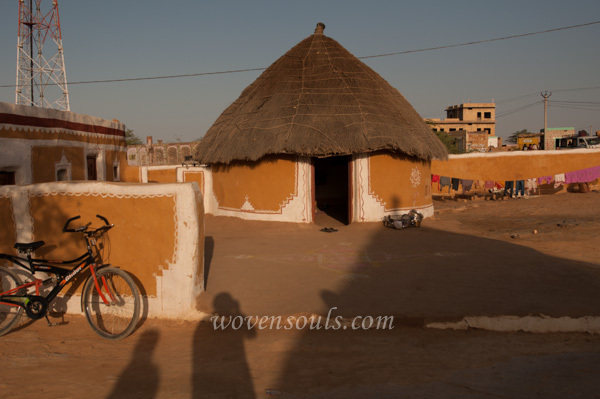 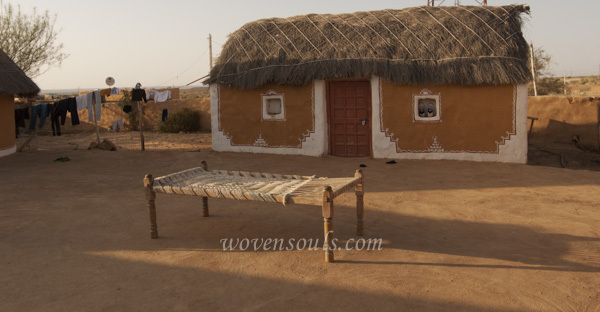 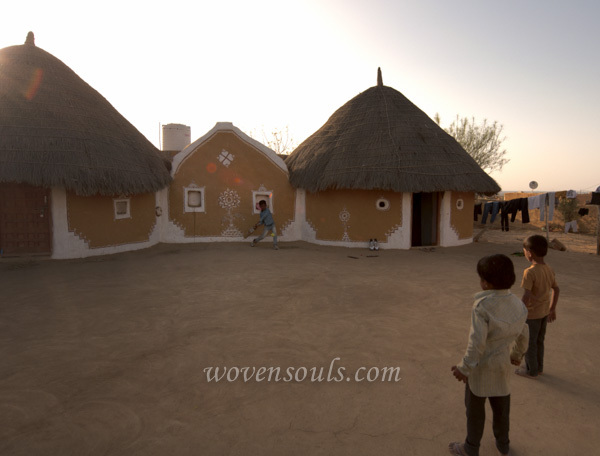 This entry was posted on April 2, 2014 by wovensouls in Culture Kaleidoscope and tagged art, culture, ethnic, Home, india, mud house, painting, Rajasthan, rural, tradition, village.